Look into your crystal ball for 2009 and consider what will be the biggest challenges for local & national nature lovers and environmentalists. What do you see on the horizon? What do you predict will happen on the environmental front in 2009? Please comment. 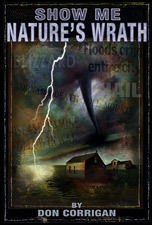 • More “Hurricane Ike” storms will cause flash floods in over-developed areas. • Passage of Prop C will spur wind powered renewable energy in Missouri. 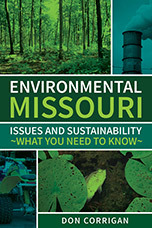 • Efforts to start new nuke plants in Missouri and elsewhere will stumble. • Scientists will discover that global warming effects are now irreversible. • Obama will revive EPA and end an “anti-science” era (Got proof? Give examples). • Environmental backlash will deepen in response to an eco-friendly administration.